As a preliminary note it is important to understand that our information about Bird Migration is based historically on Bird Ringing and more recently on Satellite Tracking, further details about these topics can be found here. The AWB Region lies at heart of the twice yearly massive bird migration phenomenon that occurs between the PALEARCTIC Region and AFRICA, and within which, it appears to be concentrated into several FLYWAYS that all pass through our region. 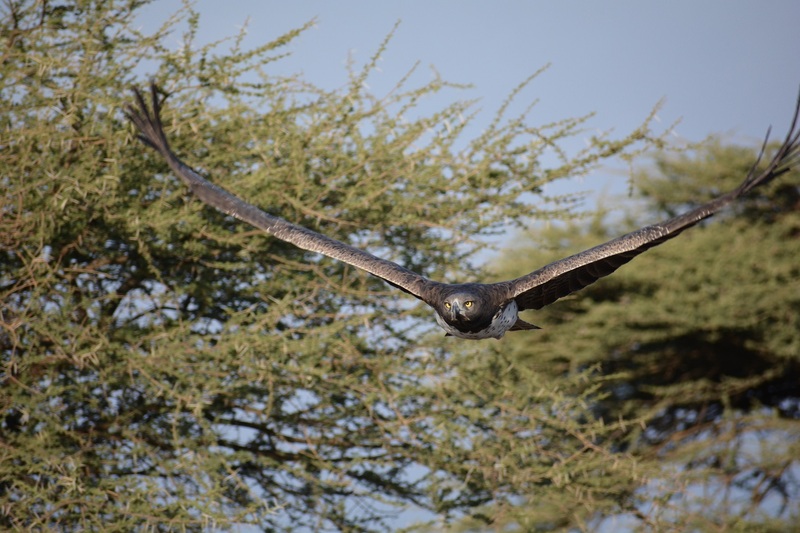 The List of Palearctic bird species migrating within Africa has been put together by the University of Copenhagen, and gives a total of 343 Western Palearctic migrating bird species. Notes on bird migration relevant to each country can be found on all the COUNTRY PROFILE pages. In addition to the Migration Flyways outlined below, within them right across The AWB Region (and some adjacent areas) are found some key migration bottlenecks which are summarized here on Migration Hotspots. Bird Migration Patterns help support their long term survival but their routes and patterns differ widely. There are many influences on patterns of migration, some, notably many songbirds migrate by night, to maximize resting, foraging and feeding time during the day, others notably soaring birds migrate by day, optimizing their use of thermals to aid their gliding flight. Once migration has started many more influences come into play that affect stopover points along their journey, one such influence is changing magnetic fields . Another vital factor, particularly for waterbirds is the availability of a suitable chain of wetlands along the whole length of their migration journey. This vital chain of requirements has led to the development of Ramsar Sites and the concept of Important Bird Areas, IBA’s to ensure that these vital wetland staging posts are maintained and protected. Birds know when to migrate. Changes in light exposure and seasonal temperature swings initiate migratory journeys, but geographical features such as seas, oceans, deserts, mountains, coastlines and rivers predispose birds to concentrate their migration routes into generally more predictable Flyways. These three Global Flyways are being actively supported by The Birdfair Project , however each of these is composed of smaller Continental Flyways, which again, often at specific locales, are composed of Regional and even Local Flyways. The term ‘Flyways’ is often used quite generally, and there does not appear to be universal agreement about some specifics, (which is probably not unexpected), but in relation to these four orders of magnitude, represent useful practical concepts in terms of understanding bird migration patterns. A good general impression of the diversity of Flyways Concepts can be obtained by perusing these Images of Bird Flyways from around the world. Spotlight and Casestudies on Flyways – birdlife.org show an interesting international range of studies. Although outside of the AWB Region I include here a page for the EAAF Region to give a more complete picture of the migration patterns of Palearctic migrants right across northern Asia. Amazingly, some of them actually do perform this tremendous feat and migrate from Alaska across Siberia and the AWB Region to winter in Africa. Details of some AWB Regional Flyways may be found below.